Dr. Beral, the co-owner of Empire Foot and Ankle Center, is a seasoned podiatrist in the greater Los Angeles area. He graduated California College of Podiatric Medicine located in San Francisco in 2002 and completed his residency in Gardena, California. Dr. Beral has been practicing in Gardena since 2004 providing surgical and non-surgical podiatric treatment to the community there. He is now also a part of the Inland Empire community. In his years as a professional and friendly podiatrist, Dr. Beral has spent numerous weekends in Mexi-Cali as part of a pro-bono project, Baja Project for Crippled Children, to help disadvantaged kids with their disabling podiatric needs. As a result of Dr. Beral’s vast experiences, he speaks fluently three languages, English, Farsi and Spanish. 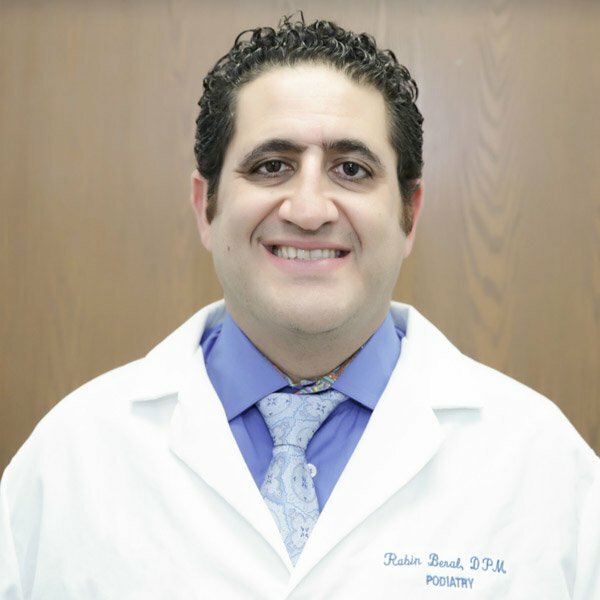 Dr. Beral has had an abundance of clinical and surgical experience and looks forward to bringing his expertise and knowledge to your patients.